Living in two worlds. That’s the reality, which Her Royal Highness, Meghan, the Duchess of Sussex and this writer share. While the Duchess’ mother is Black and father is White, my mother is White and father is Black. Adapting to our surroundings has been key to our survival. 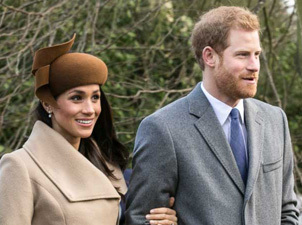 Some Royal Wedding watchers, during media coverage Saturday, marveled at how the Duchess “embraced” Black culture and could be a “social chameleon.” Being a social chameleon is more commonly known as “code switching” within communities of color. People of color made it an art form. In a nation–well, world–steeped in White supremacy, navigating their individual journeys in certain ways can make things easier. It becomes particularly tricky, if one code switches, but is fully invested in their identity. That’s true for this writer and it wouldn’t be surprising, if it’s been true for the Duchess. Watching the Duchess and His Royal Highness Harry, Duke of Sussex marry filled me with joy because Diana, Princess of Wales’ son deserved a day of immense happiness. Seeing the Duchess suspend code switching also filled me with unspeakable joy. She and her mother were unashamedly Black and beautiful. There was the fabulous Black gospel choir and, then, there was that sermon by the Episcopal Church USA’s first Black leader, Bishop Michael Curry. The Duchess basked in the Blackness as much as she did in her husband’s love. That’s the power of Blackness and love–they’re life-giving. While Curry focused on the power of love, it’s quite possible he’d agree with the latter. As a Black preacher and theologian myself, sermons earning acclaim and criticism aren’t foreign to me. Curry’s words have earned both. “When love is the way — unselfish, sacrificial, redemptive, when love is the way. Then no child would go to bed hungry in this world ever again. When love is the way. We will let justice roll down like a mighty stream and righteousness like an ever flowing brook. When love is the way poverty will become history. When love is the way the earth will become a sanctuary. When love is the way we will lay down our swords and shields down by the riverside to study war no more. When love is the way there’s plenty good room, plenty good room for all of God’s children,” Curry said. The struggle to process critics’ logic is real–for a split-second. Had people laid down their swords and shields down by the riverside, there’d be no British Empire that’s now evolved into a Commonwealth. Slavery also helped build and sustain American and British empires. While American and British children go hungry, ruling classes in both nations miss no meals. Some critics can’t handle the truth. Of course, those critics opted to label the sermon inappropriate, over-the-top and accuse Curry of grandstanding. A clergy sister-friend, the late Rev. Deirdre Jackson Jones, taught this preacher a great lesson about sermon critiques. Never take negative comments about delivery and content to heart. This writer only knows about the alleged sensibilities and thoughts of the Duke and Duchess through media reports–what’s in their hearts is unknown to me. However, their actions seem to reflect an acknowledgement of privilege and inequality. Curry’s message, it seems to me, reflects my assumption about Their Royal Highness’ worldview. It’s a world where the descendant of slaves became the member of the British Royal Family. The marriage won’t end White supremacy and the Duchess will endure continuous microaggressions and racism. But, it’s a union based on real love and joint commitment to fighting for justice for all. That’s why this writer celebrates the union. Peace be with the Duke and Duchess. Rev. Jason Carson Wilson is a United Church of Christ minister and policy advocate committed to JusticeForAll. Wilson is the founding executive director of the Bayard Rustin Liberation Initiative, a domestic and international policy advocacy organization doing its work through LGBTQIA and people of color lenses with an emphasis on interfaith engagement. He graduated from Chicago Theological Seminary in May 2016. This entry was posted in Front Page, Spirit Filled Network on May 21, 2018 by networklobby.